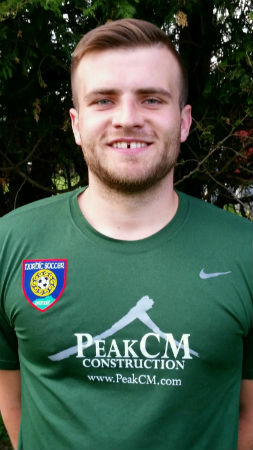 Esmir is a Project Engineer at PC Construction and played for Nordic for 10 years where he won State Cup titles as a U13, U14, U16 and U17 as well as Nordic Cup as a U15. Esmir started his Nordic coaching career with our U10’s and Academy whilst in his High School Junior year and continued through his Senior year before heading to RPI to play college soccer where he was a 4 year varsity player. After college, Esmir moved to Boston for a year to work before moving back home to VT where he started coaching at Nordic again as an assistant to Wade Jean for the 2001 Boys. Fun Fact - Esmir is an avid cross fitter and loves the outdoors. He spends the winters snowboarding and competing at Bolton in the corporate ski race league and spends the summers kayaking in the Winooski River. He does not have a middle name!